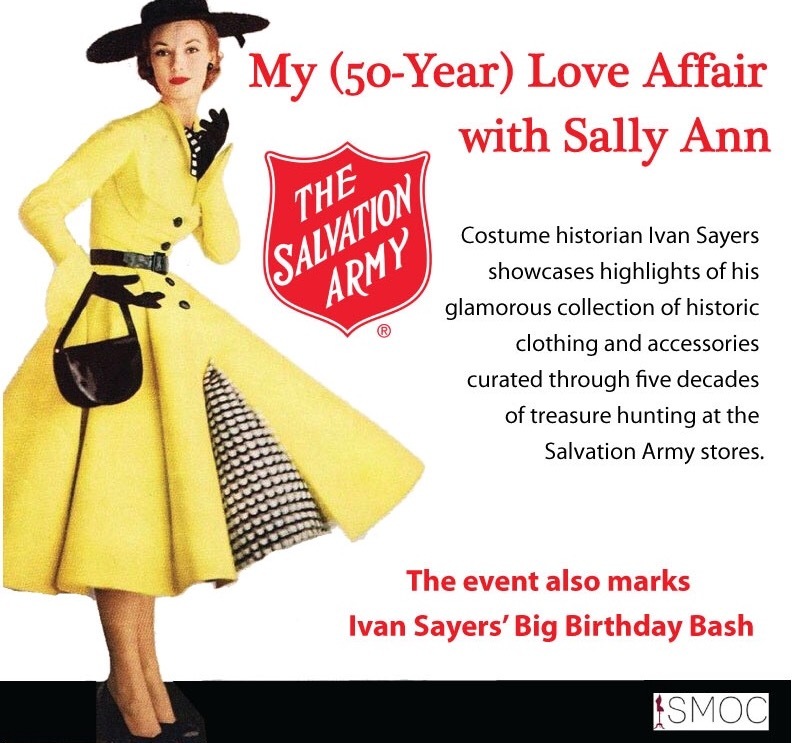 Costume historian Ivan Sayers showcases highlights of his glamorous collection of historic clothing and accessories curated through five decades of treasure hunting at Salvation Army stores. The event also marks Ivan Sayers’ Big Birthday Bash. Be sure to join us for a special night of celebration of Glitz, Glamour and Birthday Cake. Featuring a live fashion show of historic and vintage clothing and accessories.